No matter the size of business you manage or own, you need an effective way to track phone calls and evaluate the results of conversations. You may worry that call tracking will cost too much money for your business to afford. In reality, call tracking pays for itself by increasing the value of every call coming into your center. Once you learn more about how call tracking pays for itself, you’ll want to find a software option that matches your businesses needs. Missing a call from an existing or potential client can cost your business an alarming amount of money. About 92% of consumers say that they would stop using a company’s services after three or fewer negative experiences. It doesn’t take long for a couple of missed calls to harm your bottom line. Missed calls mean more than lost business from one person or company. It also means that you’ll quickly earn a reputation for poor service. 40% of happy customers say that they share their experiences on social media sites. 42% say that they share negative stories online. As word spreads that you don’t respond to calls in a timely manner, other potential clients will choose your competitors over you. Call tracking solves this problem by sending instant alerts to your cell phone or email inbox. If you operate a small business, you can use this feature to make sure you respond to every call. That way, you don’t miss any opportunities to earn the money needed to grow. If you are a sales agent, you can use call tracking features to improve your sales numbers and prove to your boss that you work hard to attract more clients. Most new clients learn about your company’s products and services by searching the internet. You probably already know that, so you use a variety of online marketing techniques to get the attention of potential clients. Do you have a way to track the effectiveness of your various online marketing campaigns? Many companies that spend money on online marketing don’t have the right tools to track how well they work. Keyword call tracking gives you the tool you need to make your marketing strategies more effective. When new clients use their smartphones to call you, keyword call tracking tells you what keyword they searched for before placing the call. You can use that information to determine which of your marketing strategies deserve more funding and which ones you should stop paying for. According to research performed by the United States Bureau of Labor Statistics, labor productivity doesn’t grow as quickly as it used to. Productivity is still growing, but the slower rate creates significant problems for industries that expected the higher rate to continue. Experts have several hypotheses that may explain why productivity growth has fallen. None of them, however, no precisely why today’s employers don’t meet expectations. Regardless of the underlying reason, call tracking helps keep your employees engaged and prevents them from becoming apathetic. As a result, they can become more productive at work. Call tracking can give you a few tools to keep employees engaged. Real-time reporting generates live reports that show how many phone calls your employees answer. You can break the reports down into several categories to gain deeper insights. For instance, you can create a report that shows you which employees aren’t keeping pace with their colleagues. Call tracking can also record calls, giving you an opportunity to review how employees respond to clients and customers. If an employee doesn’t meet your expectations, you can retrain the person to perform better. You don’t necessarily have to punish employees for missing target numbers. Instead, you can reward employees that give you the best performance. Use your time tracking to determine which of your employees deserve these and other rewards. Doing so should improve the overall productivity of your office. You can use similar call tracking features to eliminate the high cost of unhappy sales representatives. If a sales rep’s performance has declined lately, you may want to talk to that person about how they could improve their performance. Perhaps they need a couple of days away from work to recharge. Perhaps he or she would benefit from retraining. Regardless of how you solve the problem, it’s important to get unhappy sales reps off of your phones as soon as possible. An unhappy person won’t inspire potential clients to buy your products and services. After all, good sales techniques require more than feeding customers accurate information. Your sales reps need enthusiasm that clients find attractive. Call tracking works for all types of companies. Small companies can earn more money while keeping their budgets reasonable. Enterprise companies can use call tracking to hold employees accountable and monitor complicated processes. 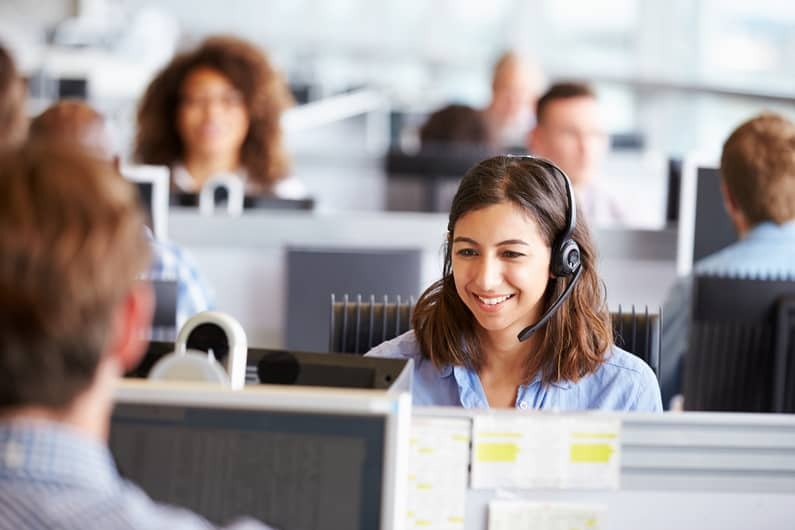 Agencies that focus on customer service calls can use call tracking to improve performance and generate reports that prove how essential they are to their clients. You may have considered adopting call tracking before but dismissed it because you were worried about the added expenses. Now that you have a better understanding of the value of call tracking, you know that it pays for itself by improving your business’s operations. Now is the right time to contact Caller Insight to learn more about how call tracking software can help your business earn more money.